For many yacht owners the opportunity to charter is a way of covering some of the costs involved in operating and managing their yacht, however, this can result in a time-costly cycle of seeking and managing charters. SeaNet offers a unique solution, whereby owners can sell 25% of their yacht to another SeaNet owner who then has access to the yacht for a guaranteed seven weeks of the year split between pre, peak and post European cruising season. This effectively creates a long-term charter programme with a selected co-owner who treats the yacht differently to a charter guest and requires no time spent seeking or managing a charter by the majority owner; SeaNet takes care of everything. 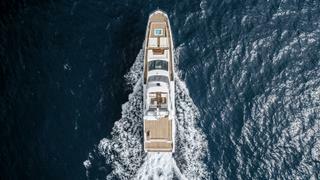 As a 75% owner of a luxury Azimut-Benetti SeaNet yacht, the majority owner can choose the interiors, the boat’s name, the home port and, of course, can make the absolute most of time spent on the water with the knowledge that 25% of the yacht’s annual costs are met by the other owner. Whilst this can be viewed as an excellent long-term charter, for the 25% SeaNet owner they have a complete sense of ownership, a completely different feeling to that of chartering a yacht. SeaNet fully understands the importance of a yacht feeling like your own and that’s why SeaNet will fully personalise the yacht before each owner steps on board; complete with chosen food and beverages, linens, dining-ware, art and pictures. 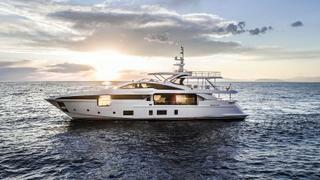 The SeaNet model offers a unique opportunity to make owning a yacht a more accessible and financially efficient venture not just from long-term charter but also a significant reduction in the initial investment. SeaNet owners benefit from a wide range of advantages including: complete management, charter income, sense of ownership, guaranteed usage and access to the international SeaNet fleet meaning that should you tire of the Mediterranean or Caribbean, you can simply exchange time spent on board for another location; its like owning two boats. SeaNet offers the best of both worlds ensuring that every member of SeaNet is truly a yacht owner without the stress and hassle of managing crews and maintenance, this combined with reduced initial investment and annual running costs makes SeaNet the best option for those seeking to charter or own a luxury Azimut-Benetti Yacht.